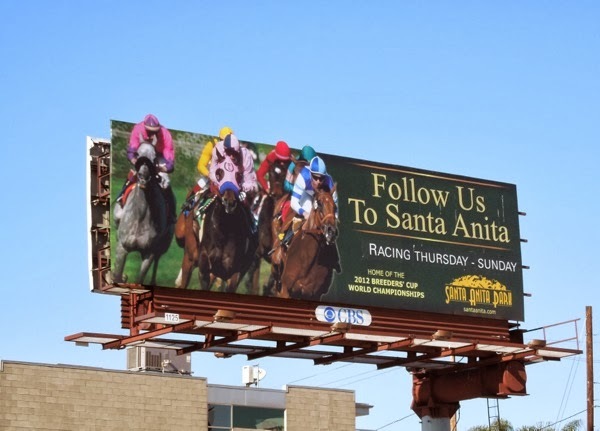 Today Daily Billboard is off to the races with these fun ad creatives for Santa Anita Park, the thoroughbred horse racing track in Arcadia, California. 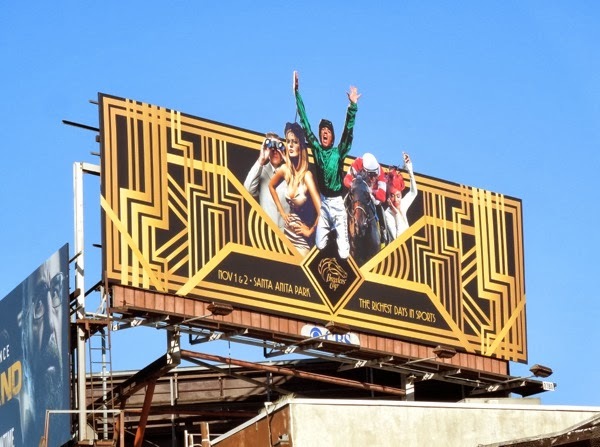 The oldest racetrack in California, the venue is home to the Breeders' Cup and this year Santa Anita Park paid homage to Baz Lurhmann's movie remake of The Great Gatsby, with this celebratory billboard to promote the event. The association is quite appropriate given the art deco style of the racetrack and this ad was spied along L.A.'s Sunset Strip on October 5, 2013. 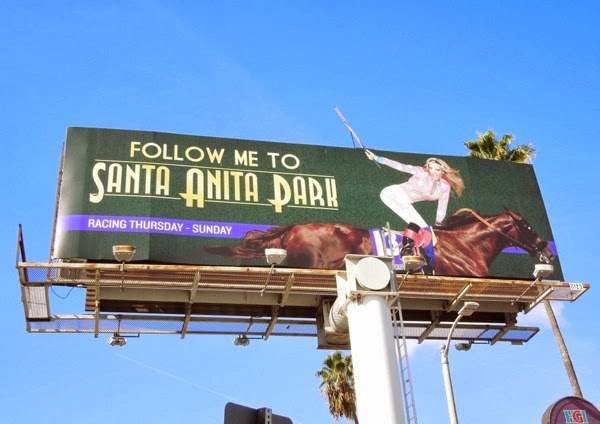 Other special extension billboards for the racetrack have featured Canadian jockey, model and TV personality, Chantal Sutherland, thoroughbred racer and reality TV star of Animal Planet's Jockeys. Being an attractive female jockey with flowing golden locks, she's far more likely to turn heads in these advertisements than a short male jockey. This white billboard creative was spied along Highland Avenue on March 10, 2012 (hence the 12 on her saddle), whilst the the racing green version was snapped more recently along Sunset Boulevard on November 17, 2013. Santa Anita Park was also home to the filming of the HBO horse racing drama Luck, starring Dustin Hoffman, until a series of unfortunate animal deaths caused production of that series to end after just one season. Meanwhile this far more traditional special extension horse racing creative was snapped along Melrose Avenue at Highland Avenue on January 12, 2012. 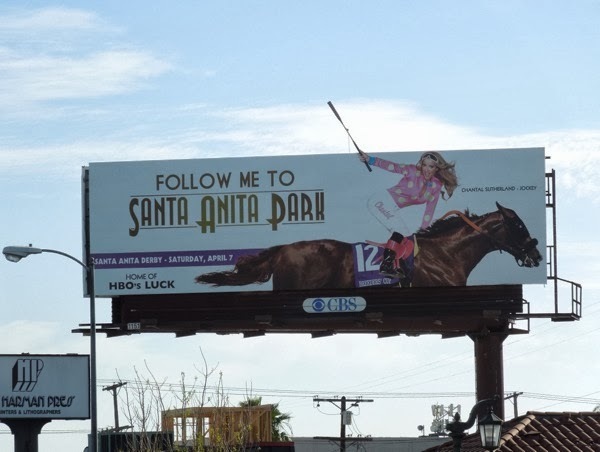 Do these sporty billboards encourage you to follow these horse riders to Santa Anita Park?